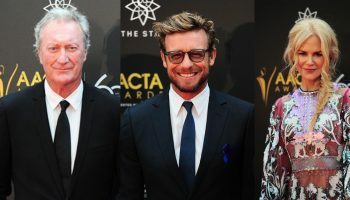 2 New Oz Features Announced at AACTA’s 2018 Asia International – Spotlight Report "The Best Entertainment Website in Oz"
Two new Australian feature films – HONOUR, a Sydney-based thriller, the first Australian film to be fully funded by Indian private investment, and the documentary BOLLYWOOD DOWNUNDER – were announced this week at a gala function held in Mumbai, India, to launch the 2018 Asia International Engagement Program, an initiative of The Australian Academy of Cinema and Television Arts (AACTA). Produced by Jannine Barnes, co-produced by Anuya Chauhan, directed by Anupam Sharma with Joan Peters (Australia) and Ritesh Kudecha (India) as Executive Producers, HONOUR will examine the issue of dowry deaths and domestic violence within the newly arrived Indian bride community in Australia. The theatrical release will be accompanied by an app to assist female migrants new to Australia. Switching genres, BOLLYWOOD DOWNUNDER, to be produced by Deepti Sachdeva and also directed by Anupam Sharma, will be a colourful ‘tongue-in-cheek’ musical look at the roller coaster ride of Australia’s links with Bollywood – the world’s biggest film industry. High profile guests at this memorable soiree included Dr Geoff Lee, MP, Member for Parramatta and Parliamentary Secretary to the Premier Western Sydney and Multiculturalism; former Premier and Special Envoy for the NSW-India Relationship, the Hon. Barry O’Farrell; leading lights of India’s film industry including actors Shabana Azmi, Tannishtha Chatterjee and Salma Agha; National Film Award-winning director Onir, legendary filmmaker Rajkumar Hirani and Australian Consul General in Mumbai, Tony Huber. 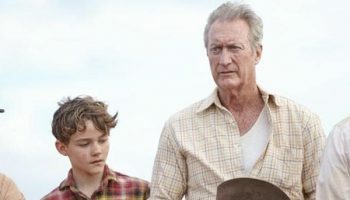 HONOUR and BOLYWOOD DOWNUNDER will be produced by Sydney’s Fox Studios based ‘films & casting TEMPLE, renowned for its trademark diversity on both sides of the camera. 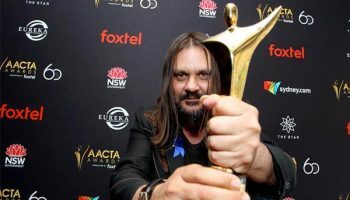 Anupam Sharma also recently completed the Australian feature documentary THE RUN (funded with Screen Australia assistance through their Producer Equity Program) which, earlier this month, won the Best Documentary Award at the UK’s prestigious Newcastle International Film Festival. Production on both HONOUR and BOLLYWOOD DOWNUNDER is slated to take place later in 2018.